Celebrating the centenary of the birth of Pete Seeger with Happy Traum and Friends! An all-star lineup in a celebration of the centenary of the birth of folk music legend and social activist Pete Seeger – whose wife of seven decades, Toshi-Aline Ohta, grew up in Woodstock. 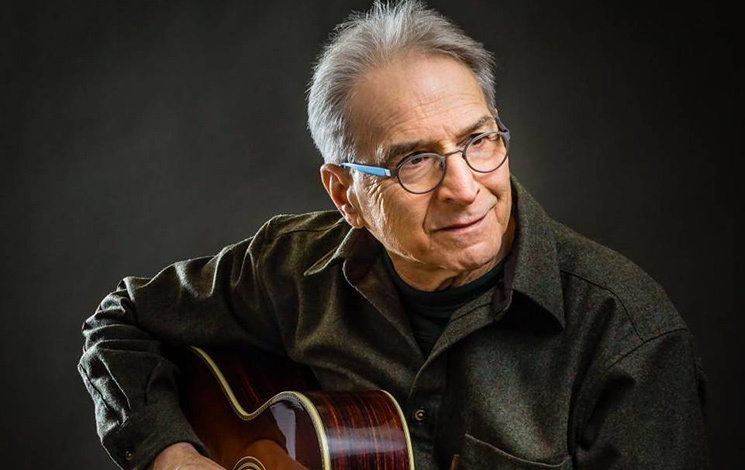 Happy Traum is an internationally known guitarist, author, teacher and folk musician who started playing in the 1950s and became a stalwart of the Greenwich Village music scene of the ‘60s and the Woodstock music scene ever since. He and his family have been prominent Woodstockers for more than half a century. Jay Ungar and Molly Mason are national treasures who tour the world but happen to reside locally. Their Ashokan Fiddle and Dance Camps have been bringing musical joy to our area for more than four decades. Jay is the composer of the iconic tune, “Ashokan Farewell,” among many others. Elizabeth Mitchell, a Smithsonian Folkways Recordings artist, has been recording and performing music for children and families since 1998. Elizabeth was the first new children ‘s music artist signed to Smithsonian Folkways in the 21st century. Simi Stone is a renowned musician, songwriter and visual artists born and raised in Woodstock. A dynamic and highly talented solo performer, she has also been a guest vocalist for Natalie Merchant, David Byrne, Gypsy Kings, Amy Helm. and many other international touring acts. Tony Trischka is considered to be the consummate banjo artist and perhaps the most influential banjo player in the roots music world. For more than 45 years, his stylings have inspired a whole generation of bluegrass and acoustic musicians with the many voices he has brought to the instrument. Adam Traum grew up in Woodstock in a musical family with a front-row seat to music history. Adam is proudly carrying on the tradition his way, cross-pollinating Americana genres, blending folk, blues, bluegrass, singer-songwriters and country-blues in his diverse songwriting and cover arrangements.